Streamline efficiency with barcode labeling. Barcode labels are an excellent option for helping to keep things organized and easy to find. In many industries it is required to have products labeled and easily identifiable, and this type of label is perfect for that. Using any of the high quality LabelTac industrial label printers you can create custom labels that have crisp bar codes on them for easy scanning and reading. Creating these labels can be done through any normal computer program including Word, Excel, OpenOffice, Photoshop or others. Printing barcode labels on high quality blank or pre-printed labels makes it fast and easy to get exactly what you need, when you need it. 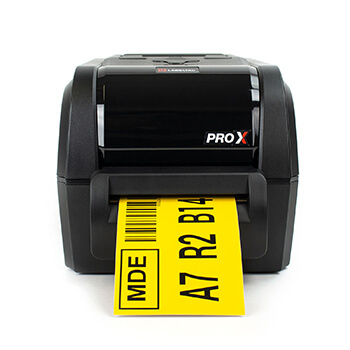 This will make it so you don’t need to order custom barcode labels from third party printers or other services so that you don’t have to wait for days to get what you need. In the long run this will also save you a lot of time and money. Browse our labeling machine models and industrial supplies below--these printers are durable and can create barcode labels all day long! A quick guide to barcodes and its related technology. Creating a barcoding program can sound unnerving, but with LabelSuite™, the intuitive, free label-making software that comes with every LabelTac® printer, that job is easy and hassle-free. The software allows you to import .CSV files so you avoid having to manually input information for each label. 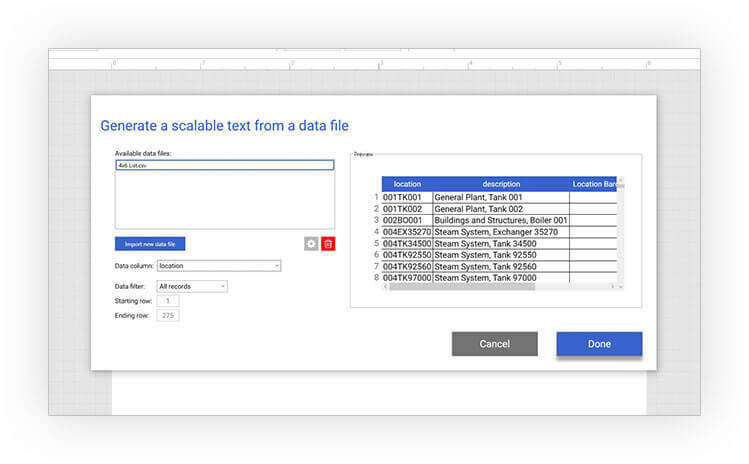 Simply load your Excel sheet and print. It couldn't be easier. Making barcodes from scratch has never been easier, thanks to LabelTac® printers. With the free, included LabelSuite™ labeling software program, you’re able to import .CSV databases easily. Simply load your Excel sheet into the program and print your barcodes. Building a barcoding system may feel intimidating, but with LabelTac® it couldn’t be easier. Transform your workplace with equipment labeling and asset tagging. Get started with this guide. Follow these steps to create ANSI/AMSE-compliant pipe labels, fast. In this e-book, you will learn color, size, text, and placement requirements.